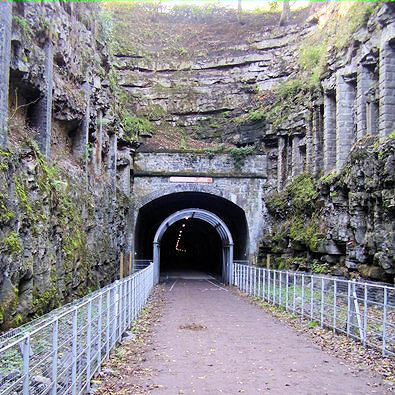 Summary: Since I heard of the plans to reopen the tunnels on the Monsal Trail I have been watching progress and eagerly awaiting an opportunity to travel the old rail line unhindered. It was six months before I managed to visit and the trail already looked well worn. On a mid October Friday there were still lots of folk about on foot, bike and even horse as the northern end of the Trail forms part of the Pennine Bridleway. The trail is 8.5 miles so to make the return trip is a minimum of 17 miles but I would want to find an alternative return route which would make the round trip longer. To follow the river path around the tunnels, as required before May 2011 is one option. There is also the Trans Peak bus which could drop me on the A6 near Blackwell having hopped on at Bakewell or even Rowsley. I took another mode of transport and hope Walking Englishman will permit this transgression from foot to two wheels. I find these trails rather a slog to walk but there were plenty of folk I passed on foot who, I assume, would disagree. The Walk: Starting from the 'End of Trail' at Coombs Road Bakewell I had to push the bike up the steep ramp to the former track bed which crossed the road on a three arch stone viaduct. I don't know if there are plans to extend the trail back to Rowsley but in the meantime Coombs Road continues south as a track then bridleway. I headed off north passing the former Bakewell station and pausing to read the first of many interpretation signs installed for the opening of the tunnels. 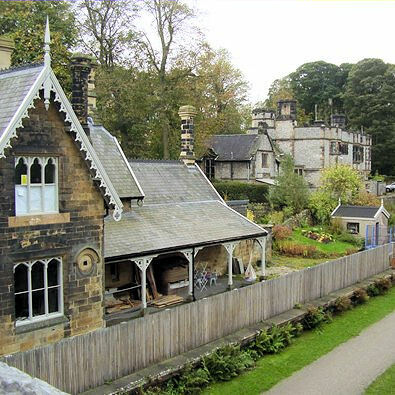 Passing through the Haddon and Chatsworth estates the Midland Railway had to pander to the wishes of the landowners so stations were built especially for the Dukes. 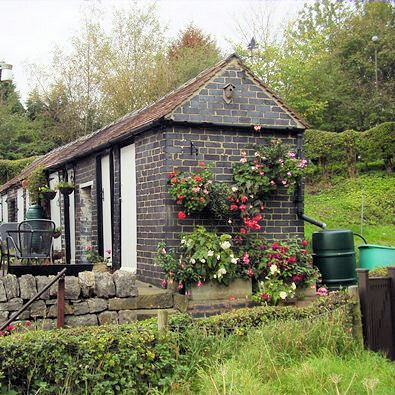 Hassop served Chatsworth but closed in 1942 as His Grace preferred to use Rowsley. Lots on offer here, bookshop, cycle hire and the inevitable cafe. On my return customers thronged the tables on the former platform bathed in the afternoon sun. Great Longstone station differs in style from Bakewell and Hassop but is hidden behind a fence so I took the exit ramp to a vantage point on the overbridge. This revealed a better view of the station building and the former private waiting rooms for Thornbridge Hall, which look like a full scale stately home. My nostrils twitched with the aroma of malted barley and hops. It reminds me of the Thornbridge micro brewery so I scout around for an outlet but fail. In vain I peer over a wall at the impressive hall then press on along the road with a plan in mind. 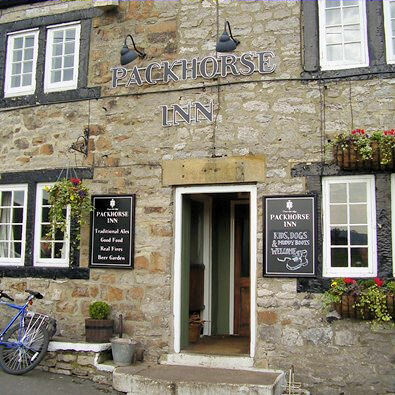 The Packhorse at Little Longstone is a lovely traditional inn and just happens to have Thornbridge beers on draught, perfect. As I sat outside walkers passed by noting the Inn which must have been a marker in their walk description but they missed a treat by not stepping inside. 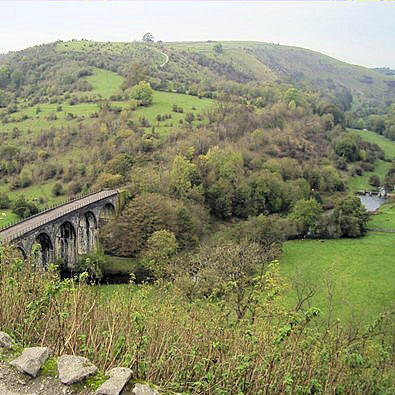 I continued along the road to Monsal Head, paused to admire this popular view which has been valued by visitors before and since the railway appeared in the valley. 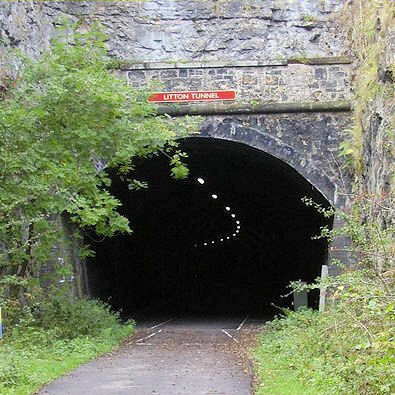 Now the cyclists dream, a hill plunging into the Wye valley to rejoin the trail at the site of Monsal Dale station. 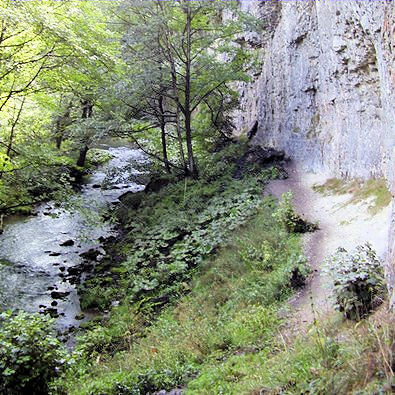 The scenery is getting impressive and I invite Walking Englishman to explore this gorge which compares well with Cheddar which was a highlight on his thousand mile walk. 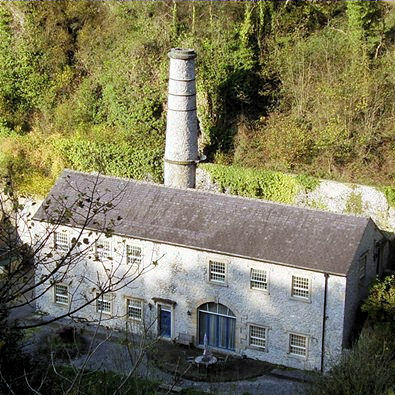 There is a mix of stunning natural limestone crags, impressive manmade cuttings, bridges and tunnels then down by the river are the mills built to harness the power of the flowing water before steam became king. 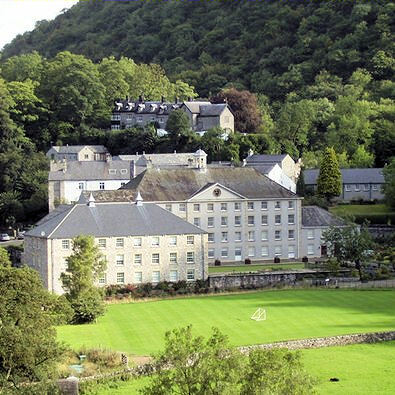 Cressbrook Mill, clean and smart, looks more like a stately home than a place of toil. It can't fail to impress but in days gone by the child labourers working long hours would have seen it as a prison. The tunnels appear longer than they are as all have a gentle curve obscuring the exit portal. The space between Cressbrook and Litton tunnels offers a view into the valley out of bounds until now. From this high vantage point the sheer size of the valley can be appreciated unlike the claustrophobic river side path below. Some fascinating geology was exposed when the railway cutting was made and a board tells us how volcanic larva can be seen where it hit the sea and solidified before thousands of bones from sea creatures settled on top creating a cover of limestone, WOW. The railway line proved to be a huge success and in 1905 more lines and an additional bridge were needed at Millers Dale. The site now offers a car park bringing in more users. The loo may also prove useful as there are far too many visitors to attempt hiding behind a tree. Yet another crossing of the Wye where the foolhardy can officially jump from the bridge, they call it absailing, I call it madness. Chee Tor No.1 is the last recently opened tunnel which has much improved the splendour on this next section. Exit tunnel one, cross high over the Wye and immediately plunge into Chee Tor No.2. It's all on a large scale and safely fenced but here again the track clings to the side of the hill to finally pass under an overhang through one last unlit cavern. 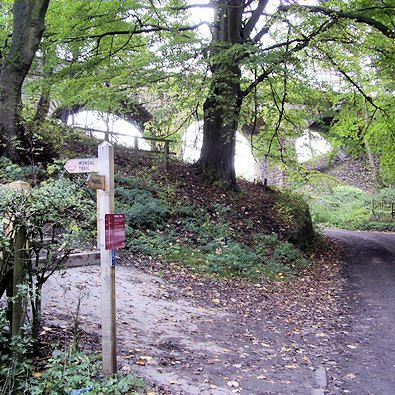 The Pennine Bridleway bears off to the right along the original main line to Manchester while the trail continues a short way along the Buxton branch to Blackwell Mill where car parking, cycle hire and tea is available. I am on a roll and eager for more so I cycle back along the trail but if you are on foot try the river path unless the Wye is in flood when the stepping stones will be submerged.